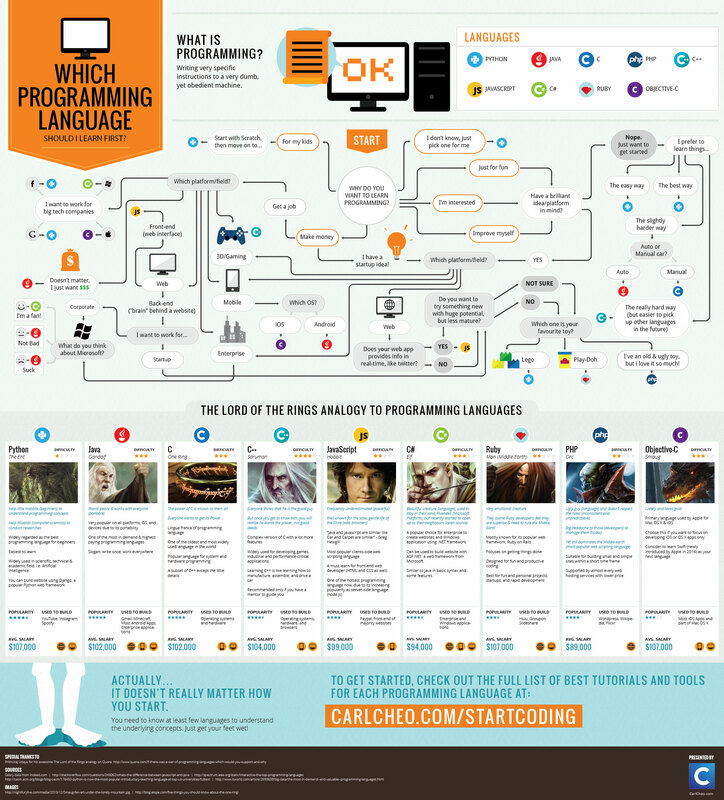 Before choosing your first programming language, you should also check out this infographic on What Is Programming And What Do Programmers Do. So you want to learn programming. Maybe you have asked your developer friends for recommendations and get different answers. They explained with terms that you don’t understand (what is object-oriented?!). To help you to pick your first programming language to learn, here is an easy-to-understand infographic that recommends the best option, depending on your purpose and interest. Details such as learning difficulty, popularity, and average salary for each computer programming language are provided too.